At New York University’s Real Estate Institute, Patrick Mc Gowan recounted his journey as a college student laboring at construction job sites to successfully founding his firm in the competitive New York City construction industry. 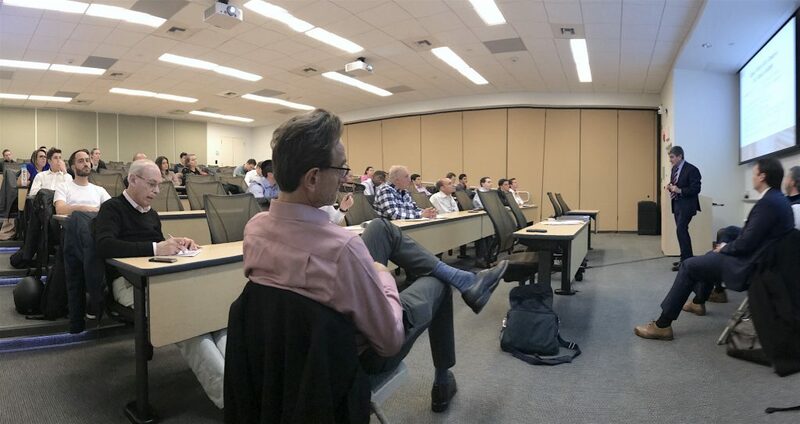 NYU students learned how to overcome the challenges that Mc Gowan faced when establishing his firm and the complexities of construction management and general contracting in the NYC Metropolitan marketplace. Patrick spoke of common pitfalls and gave tips on how to avoid them, as well as highlighted the transactional issues, both in construction and business, that executives face in the industry today. The NYU School of Continuing and Professional Studies Real Estate Institute course is aimed at prospective and current real estate owners and investors as well as real estate investment and development professionals who want to learn about every part of a real estate transaction from preeminent industry professionals who present real-life case studies. Through the collective experiences of these seasoned professionals, students walk away with the knowledge to acquire and operate real property containing residential, commercial, and retail components and an understanding of how to acquire, renovate, finance, lease, and manage real property. More information is available on the NYU website.